On a hot summer evening, Austinites and tourists line up along Austin's Congress avenue to watch the nightly exodus of bats from underneath Congress Bridge. 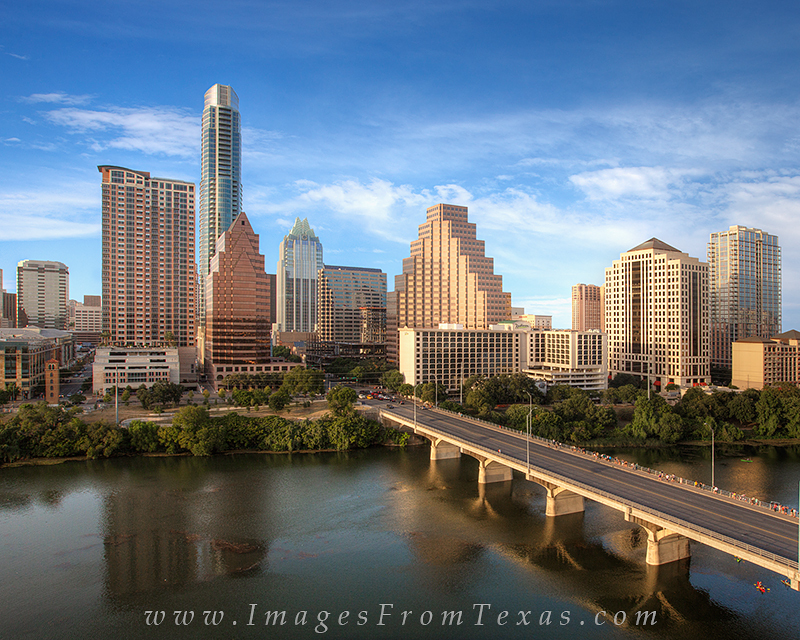 The backdrop is a wonderful view of the Austin Skyline, with the Austonian as the tallest highrise. Also seen is the iconic Frost Bank Tower. Along Congress across from Ladybird Lake, you can see a new building being constructed, displaying the growth downtown Austin is experiencing and will experience in the next several years. Photo © copyright by Rob Greebon.